The author and classicist Philip Womack is currently crowdfunding (on Unbound) a children’s adventure novel, The Arrow of Apollo, whose main characters ar ether children of Orestes and Aeneas. Certainly the promotional video has been very well made and Womack is a persuasive advocate for his own work. The snow had come early, blanketing the land on All Souls’ Eve and re-covering it at regular intervals, up to and beyond the Solstice. Old Scratch had never known such a persistent piling up of the stuff. Day in, day out it came, with drifts touching what passed for his roof and no respite, not even on melt days, because the melting only went so far before the sky turned goose-grey again and down came another load, white upon white upon white. 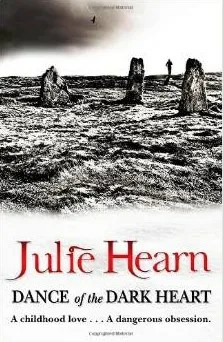 Julie Hearn writes with real skill, her style equally at home with the natural and supernatural, with rude mechanicals and over-reaching Tudor courtiers, with fairy-tale tropes and psychological realism. All the elements are familiar, but the final result is one of genuine originality. The true test of a retelling is that the story must rise out of its origins to become something worthwhile in its own right. Furthermore, Orpheus’s venture into the underworld is itself, like the even older story of Theseus in the Minotaur’s labyrinth, a version of what I believe to have been the very first story told round the fire: of Man entering the Dark Cave. The hunter enters the cave to rid it of a wolf, bear, or lion; the hero ventures to the darkest space to face whatever lies in wait, be it triumph or tragedy. Happily for Almond, and for us, A Song for Ella Grey is a triumph. via A Song for Ella Grey by David Almond – a triumph | Books | The Guardian.